This article is about the monarchy of Saint Kitts and Nevis. For information on the other countries which share the same person as monarch, see Commonwealth realm. One of the most complicated features of the Saint Kitts and Nevis Monarchy is that it is a shared monarchy. 52 states are members of the Commonwealth of Nations. Sixteen of these countries are specifically Commonwealth realms who recognise, individually, the same person as their Monarch and Head of State; Saint Kitts and Nevis is one of these. Despite sharing the same person as their respective national monarch, each of the Commonwealth realms – including Saint Kitts and Nevis – is sovereign and independent of the others. The Balfour Declaration of 1926 provided the dominions the right to be considered equal to Britain, rather than subordinate; an agreement that had the result of, in theory, a shared Crown that operates independently in each realm rather than a unitary British Crown under which all the dominions were secondary. The Monarchy thus ceased to be an exclusively British institution, although it has often been called "British" since this time (in both legal and common language) for reasons historical, legal, and of convenience. The Royal and Parliamentary Titles Act 1927 was the first indication of this shift in law, further elaborated in the Statute of Westminster 1931. Under the Statute of Westminster, Saint Kitts and Nevis has a common monarchy with Britain and the other Commonwealth realms, and though laws governing the line of succession to the Saint Kitts and Nevis throne lie within the control of the Saint Kitts and Nevis Parliament, Saint Kitts and Nevis cannot change the rules of succession without the unanimous consent of the other realms, unless explicitly leaving the shared monarchy relationship by means of a constitutional amendment. This situation applies symmetrically in all the other realms, including the UK. On all matters of the Saint Kitts and Nevis State, the Monarch is advised solely by Saint Kitts and Nevis ministers. 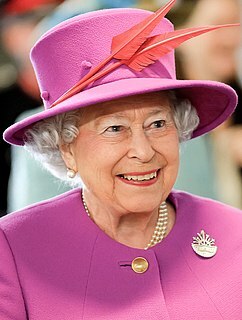 In Saint Kitts and Nevis, the Queen's official title is: Elizabeth the Second, by the Grace of God, Queen of Saint Christopher and Nevis and of Her other Realms and Territories, Head of the Commonwealth. This style communicates Saint Kitts and Nevis's status as an independent monarchy, highlighting the Monarch's role specifically as Queen of Saint Kitts and Nevis, as well as the shared aspect of the Crown throughout the realms. Typically, the Sovereign is styled "Queen of Saint Kitts and Nevis," and is addressed as such when in Saint Kitts and Nevis, or performing duties on behalf of Saint Kitts and Nevis abroad. The Saint Kitts and Nevis constitution is made up of a variety of statutes and conventions that are either British or Saint Kitts and Nevis in origin, which gives Saint Kitts and Nevis a similar parliamentary system of government as the other Commonwealth realms. All powers of state are constitutionally reposed in the Monarch, who is represented by the Governor General of Saint Kitts and Nevis – appointed by the Monarch upon the advice of the Prime Minister of Saint Kitts and Nevis the Monarch is informed of the Prime Minister's decision before the Governor General gives Royal Assent. When the status of association of Saint Kitts and Nevis with the United Kingdom was due to terminate in 1983, and it became necessary to establish a new constitution on its attaining fully responsible status within the Commonwealth, the House of Assembly had requested the making of the Order in Council which constituted Saint Kitts and Nevis as a sovereign democratic federal state, under the Constitution which had been declared in the name of the People of Saint Christopher and Nevis. The order was made under the West Indies Act 1967 and came into operation on 23 June 1983. The Form of Oath of Allegiance set out in the Fourth Schedule of the Order in Council is a declaration of allegiance to "Her Majesty Queen Elizabeth II, Her Heirs and Successors". Most of the Queen's domestic duties are performed by the Governor General. 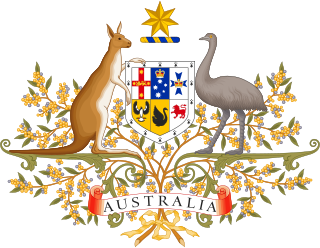 The Governor-General represents the Queen on ceremonial occasions such as the opening of Parliament, the presentation of honours and military parades. Under the Constitution, he is given authority to act in some matters, for example in appointing and disciplining officers of the civil service, in proroguing Parliament. As in the other Commonwealth realms, however, the Monarch's role, and thereby the vice-regent's role, is almost entirely symbolic and cultural, acting as a symbol of the legal authority under which all governments operate, and the powers that are constitutionally hers are exercised almost wholly upon the advice of the Cabinet, made up of Ministers of the Crown. It has been said since the death of Queen Anne in 1714, the last monarch to head the British cabinet, that the monarch "reigns" but does not "rule". In exceptional circumstances, however, the Monarch or vice-regal can act against such advice based upon his or her reserve powers. Succession to the throne is by absolute primogeniture, and governed by the provisions of the Succession to the Crown Bill that was passed 8 July 2013 in accordance with the Perth Agreement. Previously succession had been governed by the Act of Settlement and English Bill of Rights. originally passed by the Parliament of England. This legislation lays out the rules that the Monarch cannot be a Roman Catholic, and must be in communion with the Church of England upon ascending the throne. As Saint Kitts and Nevis's laws governing succession are currently identical to those of the United Kingdom (by the Statute of Westminster) see Succession to the British Throne for more information. 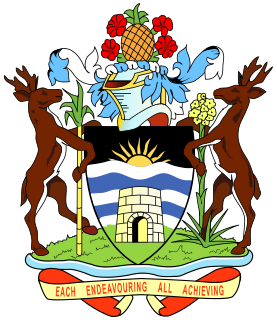 All laws in Saint Kitts and Nevis are enacted with the sovereign's, or the vice-regal's signature. 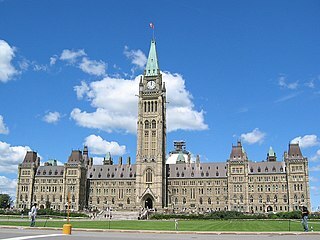 The granting of a signature to a bill is known as Royal Assent; it and proclamation are required for all acts of Parliament, usually granted or withheld by the Governor General. The Vice-Regals may reserve a bill for the Monarch's pleasure, that is to say, allow the Monarch to make a personal decision on the bill. The Monarch has the power to disallow a bill (within a time limit specified by the constitution). In Saint Kitts and Nevis the legal personality of the State is referred to as "Her Majesty the Queen in Right of Saint Kitts and Nevis." For example, if a lawsuit is filed against the government, the respondent is formally described as Her Majesty the Queen in Right of Saint Kitts and Nevis. The monarch as an individual takes no more role in such an affair than in any other business of government. ^ Text of the Act of Settlement as in force today (including any amendments) within the United Kingdom, from legislation.gov.uk. ^ Text of the Act of Settlement as originally passed [Chapter II. Rot. Parl. 12 & 13 Gul. III. p. 1. n. 2. ]', Statutes of the Realm: vol 7: 1695–1701 (1820), pp. 636–38. The Constitution of Saint Kitts and Nevis was adopted on 23 June 1983 and took effect when the country became independent on 19 September 1983. It consists of 11 chapters and various schedules, which establish the rights, responsibilities and definition of the citizens of the federation. It also provides the form and structure of government, and enumerates the powers of the different branches of government. Its treatment of the island of Nevis is rather unusual among federated nations.